MANILA, Philippines - The Philippine Atmospheric, Geophysical and Astronomical Services Administration (PAGASA) announced on Sunday noon, June 26 that the first tropical depression for 2016 has entered the Philippine Area of Responsibility (PAR) and was named "Ambo." "The Low Pressure Area at East of Borongan City has developed into a tropical depression and was named 'Ambo'," PAGASA advised on Facebook. In the 11:30 a.m. weather bulletin today, the state weather bureau said that six areas are under Public Storm Warning Signal (PSWS) No. 1. This includes Catanduanes, Camarines Norte, Camarines Sur, Northern Quezon including Polillo Islands, Aurora and Quirino. At 10:00 AM today, the center of 'Bagyong Ambo' was estimated based on all available data at 182 km East of Virac, Catanduanes (13.7°N, 125.9°E). 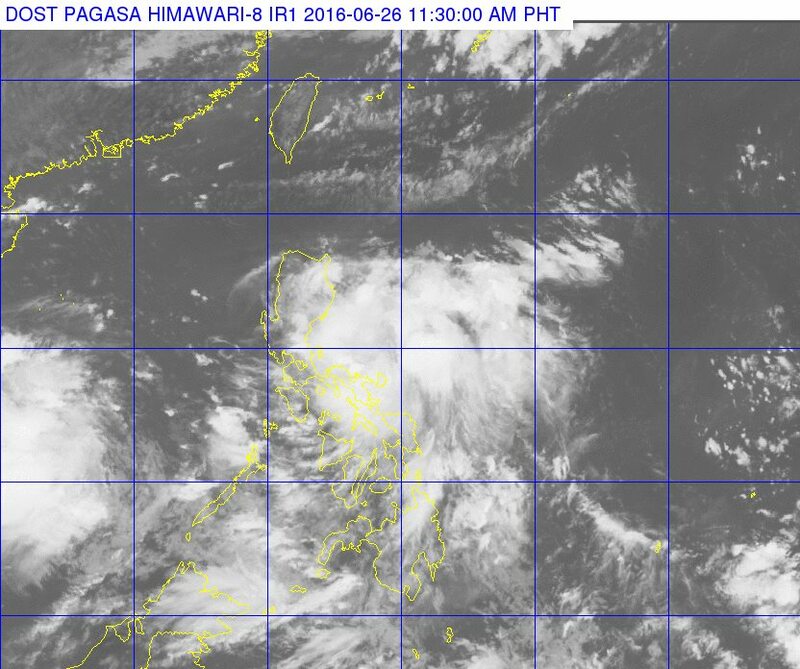 It has maximum winds of 45 kph near the center and forecast to move West Northwest at 19 kph. 24 hour (Tomorrow morning): 80 km East of Baler, Aurora. 48 hour (Tuesday morning): 220 km West of Laoag City. 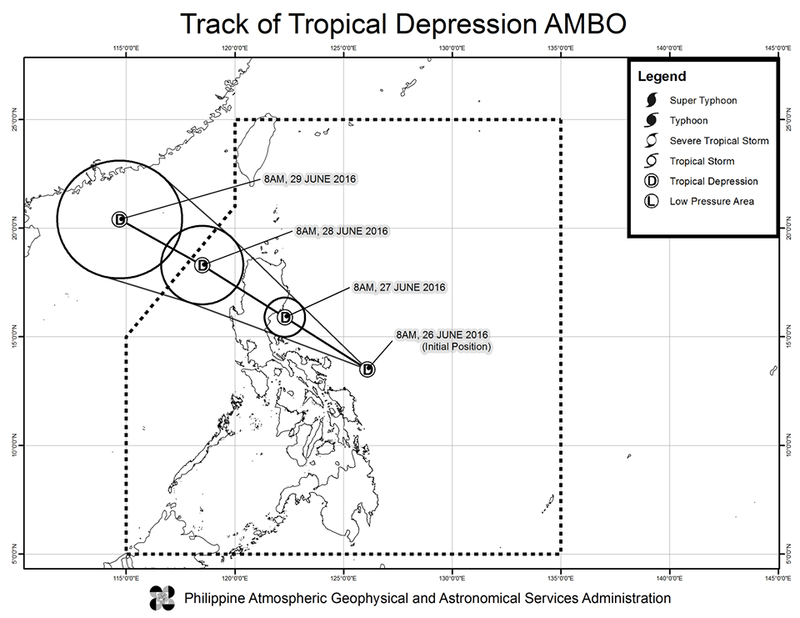 'Ambo' is expected to weaken after making landfall over Aurora province tomorrow, June 27. The residents in low lying and mountainous areas of the provinces with PSWS#1 are alerted against possible flashfloods and landslides. The public and the disaster risk reduction and management council concerned are advised to take appropriate actions.